Skimming the surface only gets you so far when it comes to moral questions. 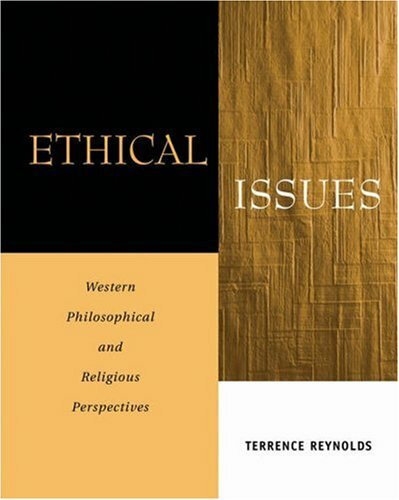 To truly understand moral theory and philosophy, you'll need ETHICAL ISSUES: WESTERN PHILOSOPHICAL AND RELIGIOUS PERSPECTIVES. You'll explore important, divergent viewpoints on some of today's most hotly contested issues, including sexual ethics, abortion, the conduct of war, euthanasia and suicide, environmental ethics, capital punishment, and human cloning. Threats, Values and Defense: Does the Defense of Values by Force Remain a Moral Possibility? Is the Death Penalty Irrevocable? Instrument of Justice or Tool of Vengance? Can and Ought We to Follow Nature? The Twin Paradox: What Exactly Is Wrong With Cloning People?